For a small liberal arts school, Wesleyan sure knows how to recruit top athletes. 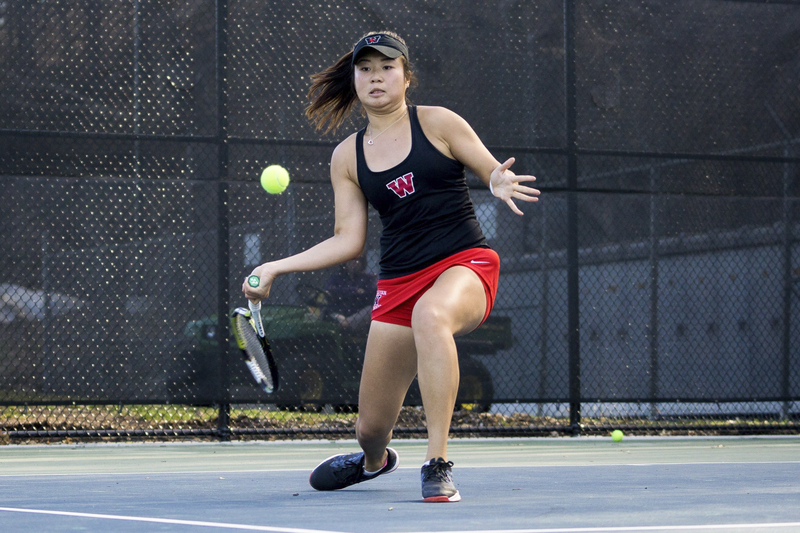 This year, both football and volleyball have had very successful seasons, but no Wesleyan athlete’s sports career has been as spectacular as that of senior Eudice Chong’s. She is a three-time defending national singles champion and the defending doubles champion with Victoria Yu ’19. After such considerable success, it wouldn’t be unreasonable for Chong to pack up her bags and quit the team. But doing so would be counter to her motivations. After playing a myriad of pro tournaments last summer, Chong reached 569th in the world, an incredible ranking for a Division III college tennis player. Now back at Wesleyan for her final year, Chong has built a new trophy case and appears intent on filling it. In unsurprising fashion, Chong, in addition to her women’s tennis compatriots, has taken the top spot in two different tournaments this past weekend. After Chong and Yu captured the doubles title and Chong the singles title at the ITA New England Regional Championships two weeks ago, the two top Cards went to Rome, Ga. for the 2017 ITA Oracle Cup over the weekend. And in a style true to their champion essence, Chong dominated the singles bracket, in addition to the doubles with Yu. It wasn’t even close–the Cards won both draws without dropping a set. But it wasn’t just Chong and Yu on the women’s team who found success this past weekend. The other Red Birds headed to the New England Women’s Intercollegiate Tennis Tournament. In the B bracket, senior Nicole McCann and first year Alissa Nakamoto used their combined experience and youthful vigor to capture the doubles championship. Likewise, in the C bracket, Julia Kim ’20 and Daniela Alvarez ’21 also took home the doubles title. A month ago, the women’s team graced MIT’s campus with their marvelous play, where Chong and Yu captured the double’s title, of course. This weekend was the men’s team’s turn to head to Cambridge, Mass. They sent seven Dirty Birds to MIT, but the results were unfortunately not as remarkable as the women’s. The Cards’ number one player last year, Steven Chen ’18, was top-seeded but fell in the quarterfinals to eighth-seeded Austin Barr of Williams 3-6, 6-2, 3-6. Andrew Finkelman ’21, the Cards’ top-ranked recruit and finalist at the ITA New England Regional Championships, also reached the quarterfinals before being defeated by Kyle Schlanger of Middlebury 6-1, 6-0. For Finkelman, it was a strong performance, but nonetheless a bit of a letdown after taking out last year’s national singles champion, Lubomir Cuba of Middlebury, at the regional championships. In any case, this defeat speaks to the high level that these NESCAC tennis players compete at; on any given day, any one player can triumph over any other. 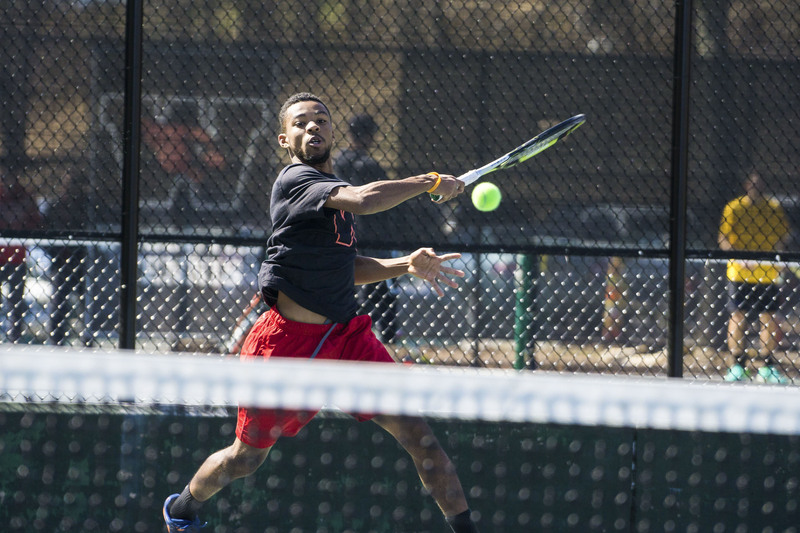 For most of the tennis-playing Cardinals, the fall season is over. Now starts the long grind of the off-season. Team practices are banned by the NCAA, but the Cards must be hitting frequently if they want any chance of competing with other top schools–after all, the other top schools are doing the same. For Chong and Yu, the fall season is not quite over. Their tremendous victories at the ITA Oracle Cup have qualified them for the ITA Fall National Championships, occurring from Nov. 1-5 at the JW Marriott Desert Springs Resort & Spa in Palm Desert, Calif. The tournament is certain to be a challenge for the two Cardinals, as they will be competing against top Division I players from around the country. However, the tournament is sure to be an important test of their skills, and sure to give them a benchmark to work and improve from. Asked about her expectations of the upcoming tourney, Yu was hopeful. 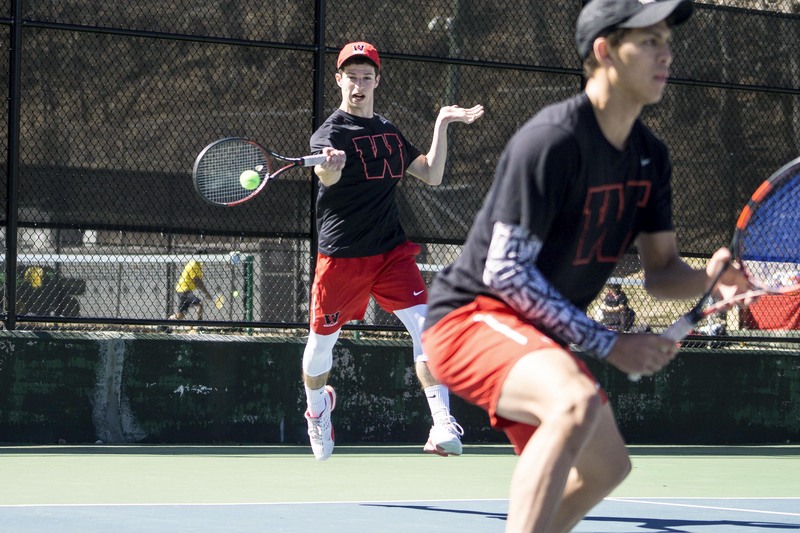 After the fall National Championships, it will be a long road ahead for all players on Wesleyan’s tennis teams. But coach Mike Fried isn’t worried that the team is going to be idle during their time off. Cormac Chester can be reached at cchester@wesleyan.edu.